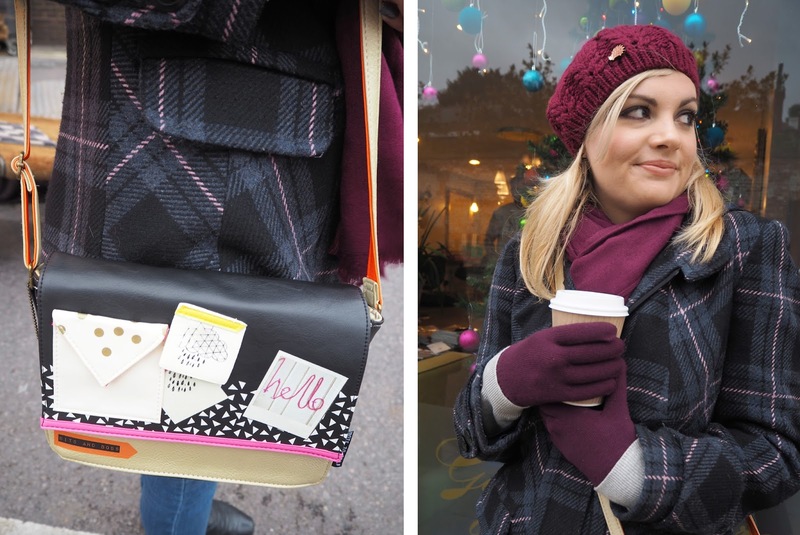 I'm pleased my Christmas Market post has been so popular, following on from that I thought I'd post my outfit of the day! 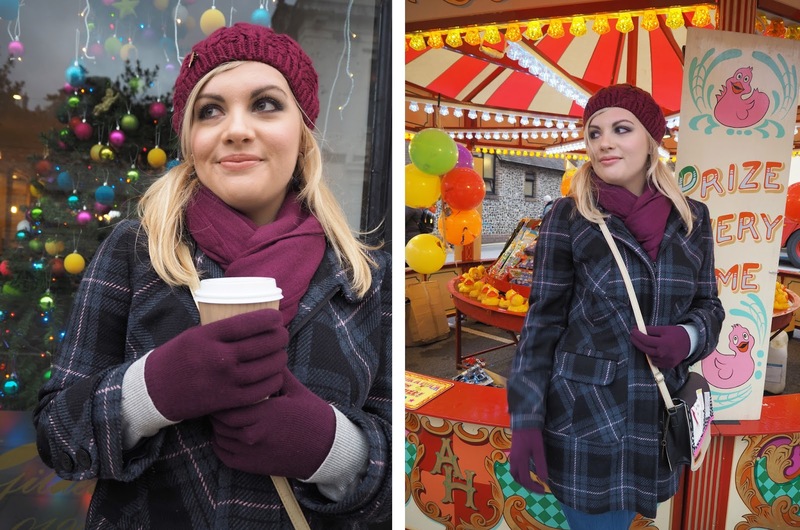 I think this outfit was the perfect combo of cute and cozy and ideal for walking around a Christmas market on a freezing cold and windy day in December. 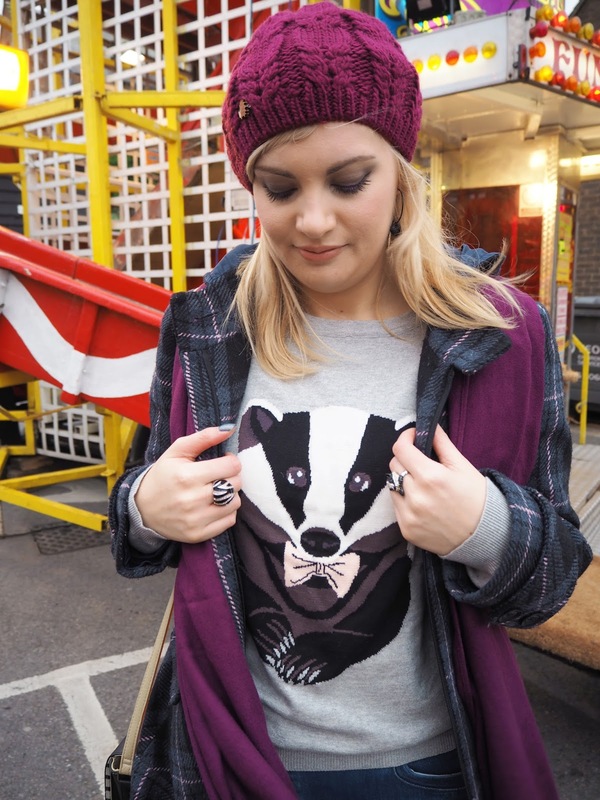 I'm a big fan of an animal jumper and have been eyeing up the lovely selection on Sugarhill Boutique for a while. This Badger one was (and still is!) on sale on their website down from £45 to £24 - a bargain I couldn't resist and just look at his little face! 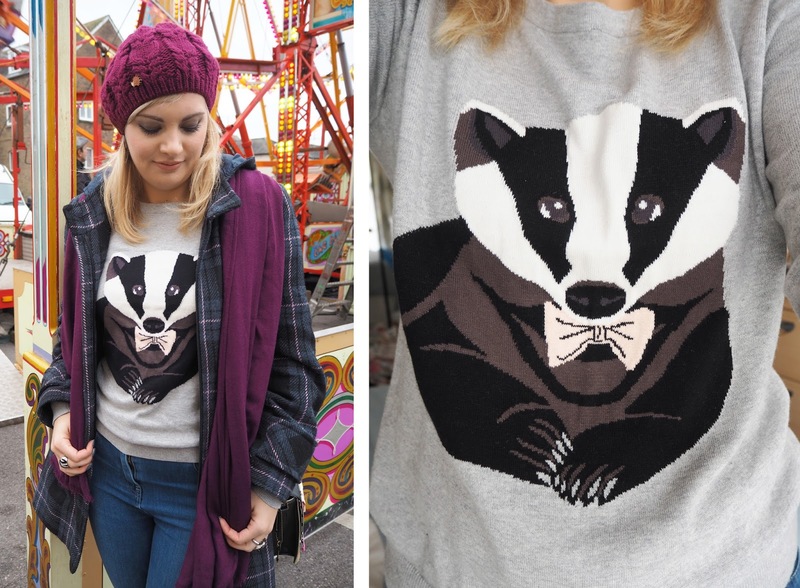 It's a light and soft knit that's really comfy to wear, I just can't abide a scratchy jumper! 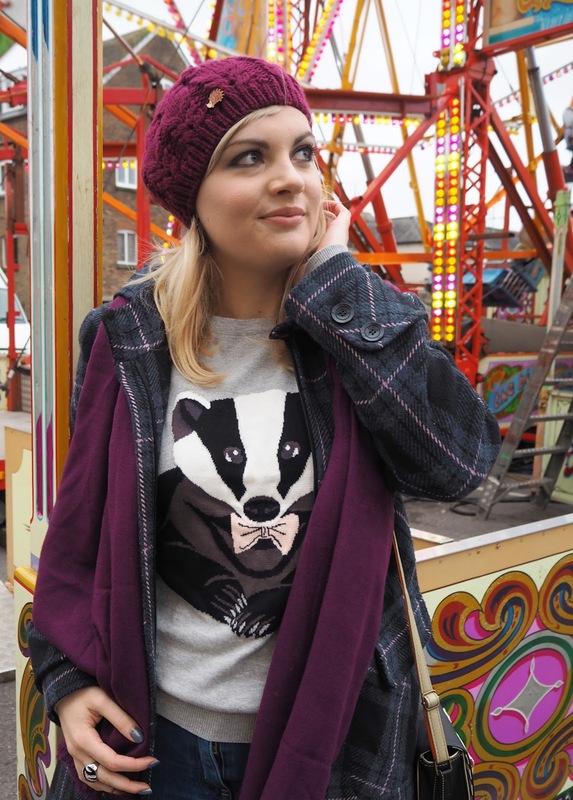 In keeping with the woodland creature theme I pinned this adorable little hedgehog brooch to my beanie hat. It came from one of my new favourite Etsy shops The Crafty Cow Shed, a UK based seller who has all sorts of unique/kitsch jewellery. 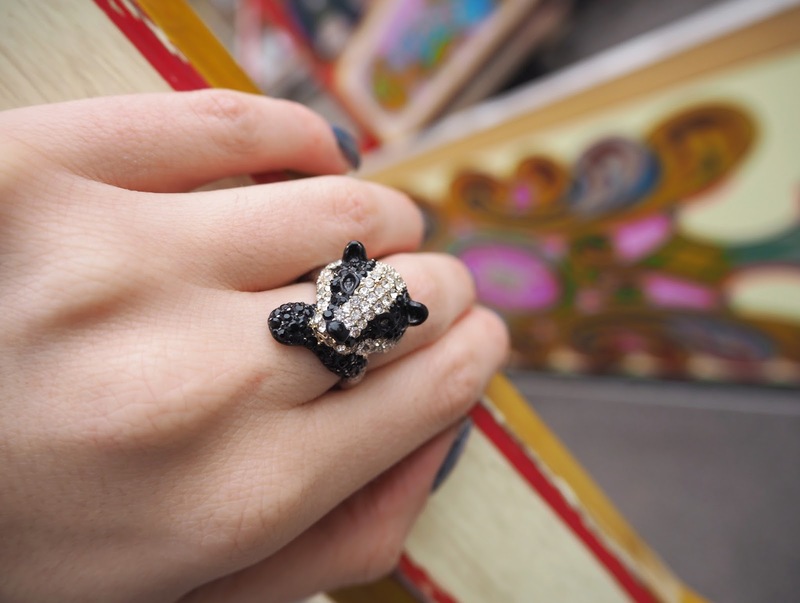 My favourite bits are the animal pieces, I also bought a fox brooch from them which I adore! 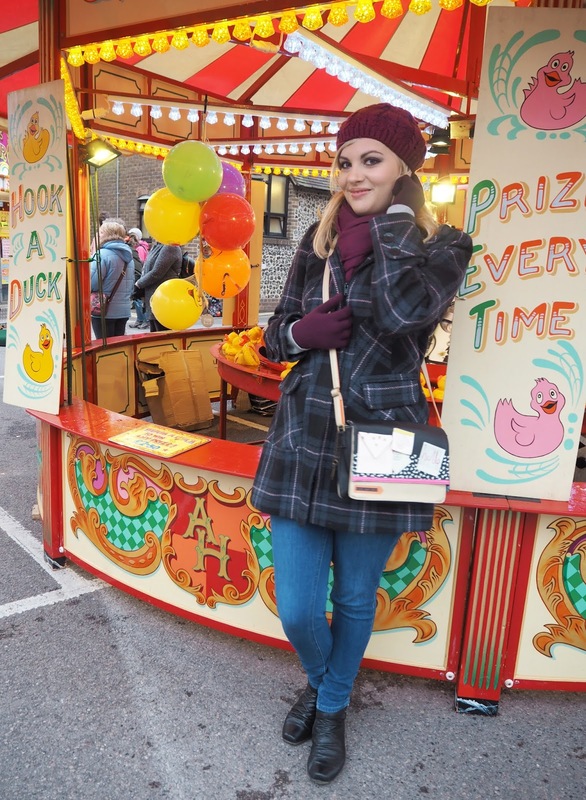 If you're interested in finding out more about the Christmas Market I went to then you can see my post here.